The security of your institution involves creating the perfect marriage between the right technology and the right people. With today's security technologies integrating into a single solution, facilities are turning to remote security management to uncover greater returns and create a safer environment. Tackle old security challenges in a new way. Learn how an integrated system, combined with remote monitoring, creates safer facilities and maximizes ROI. 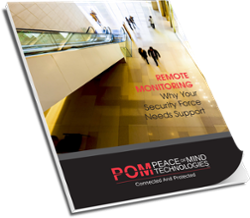 Enter your email address to download your free guide to remote security management.